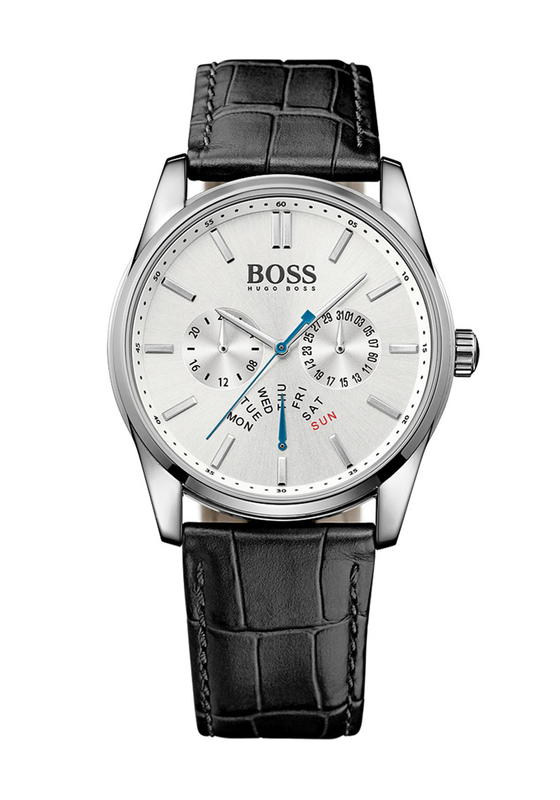 A contrasting blue seconds dial and day marker adds a modern touch to this classic watch from Hugo Boss. 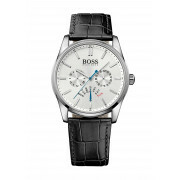 Featuring a black strap with a classic embossed crocodile print and adjustable fastening. The silver face has time markers and sub-dials for day, date and 24 hour functionality.